The School of Information provides certain equipment for checkout to its students, faculty and staff. Equipment can be picked up and dropped off during normal hours at the iSchool IT Lab (UTA 1.210). All equipment may be picked up after 2 PM and is due by noon on the due date. Due to high demand, equipment renewals are not always possible. In order to request a renewal, bring the equipment to the IT Lab and speak to an IT Lab staff member on the due date. For information about reserving or checking out equipment, please call (512) 471-3991 or email itlab@utlists.utexas.edu. Please plan for the check-in and check-out process to take up to 15 minutes. 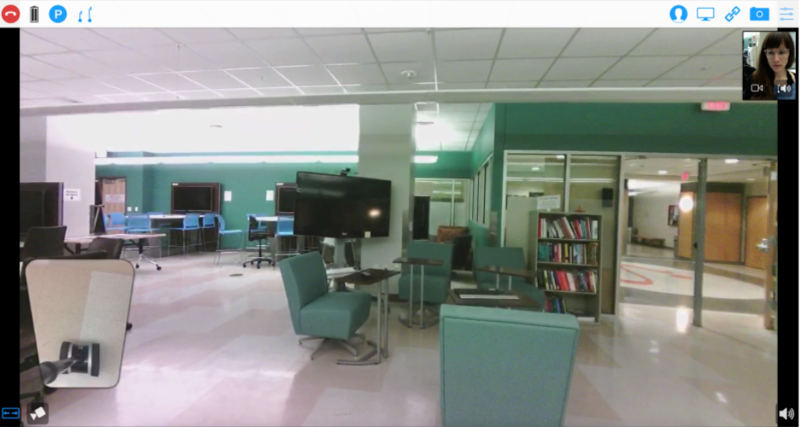 The IT Lab maintains a Double Telepresence Robot for student, faculty, and staff use. 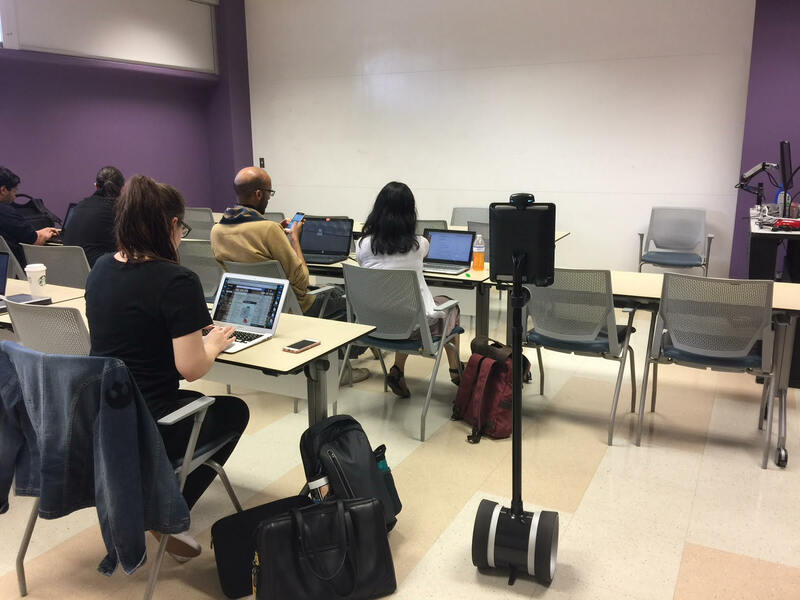 We can provide you with access to drive the robot, so you can attend your class from anywhere you have network access, an iPhone or Android app for the Double, or the Chrome web browser. Please note we prioritize use of the robot to sick people first, we want you to stay home. The robot is only intended for indoor use, and the directions below only apply for the first floor. If you need to use the robot on the 5th floor, please supply that information below. To request use of the robot, email: ta_help@ischool.utexas.edu. The date, time, and location of your need, as well as how long you will need to use the robot. Any special instructions relevant to your need and/or use of the robot. Please email using the email address you would like us to contact you at. This email address will also be how you gain access to the robot. A staff member will respond to your request within 4 hours. If the robot has not already been booked, we will confirm your booking. After your booking has been confirmed, we will send a link to the email that you provided. This is a guest pass for you to use the robot for the amount of time that you have indicated. To access the robot, you can click on the link via your mobile, laptop, or desktop device. To drive the robot from your desktop or laptop device, simply use the arrow pad on your keyboard. A window will pop up asking you if you would like to allow the robot to access the microphone and camera on your device. Allow the robot to access your camera and microphone if you would like to be seen and heard on the other end of the device. Park - The park button is located in the upper left hand corner of the screen. Once you have positioned the robot to your preference, you will want to put the robot into park so that it is not rocking back and forth. Foot Camera - You can click the foot camera icon in the lower left hand corner of the screen to ensure that you have set the parking break, or just to get another point of view from the robot. Camera - You can also take a standard photo from the primary point of view by clicking the camera icon that is in the upper right hand corner of the screen. Volume - If you need to adjust the volume on the robot, the icon in the lower right hand corner of the screen. Keep in mind that if no one can hear you, it could also be that the volume is not adjusted on your own device, or that you have not given the robot permission to use your microphone. End Call - To end your call, press the red button with the white phone icon at the top left hand corner of the screen. As you can see, the arrows to drive the robot are transferred directly to your screen, making it a touch screen. All of the buttons that we discussed above are also available as touch screen options on your mobile device. The triple arrow button is to move the robot in double speed. We highly recommend you request a test drive the first time you reserve the robot. Simply request a test drive using the above process, and we will send you a link for a half hour so you can drive the robot around the IT Lab. 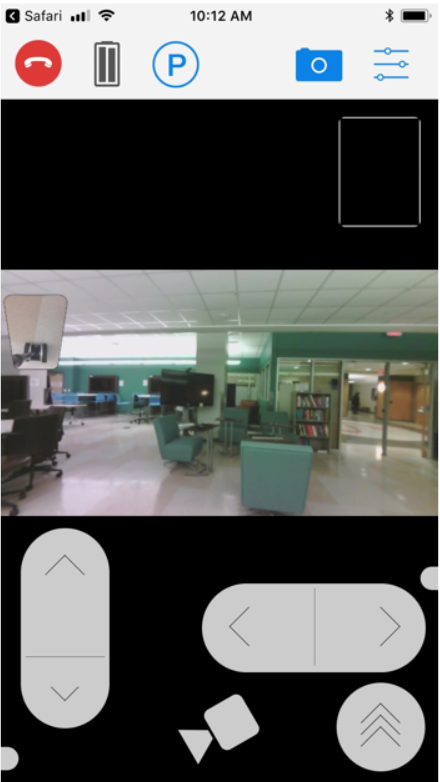 Once video feed displays, look in the top right corner of the screen for the user box. A window will appear that states the limits of the Multi-Viewer along with two submit buttons. One says “Done”, the other says “Begin Multi-Viewer”. A unique link will be generated. Copy-and-Paste the link into an e-mail or message and send it to the additional individuals you’d like to attach to the bot. After clicking the link you will be prompted to enter a name. You do not have to make an account to participate. You will be able to speak to the other participants and audience, but you will not be seen by anyone. You will see what the robot sees. They WILL be able to listen in and see what’s going on, as if it were a video conference. Every person will have the option to sign in with whatever name they choose.